The ivory trade generates millions of dollars, which goes in part to support criminal syndicates. We're active at all levels to stop the illegal ivory chain. We support law enforcement and case building, monitor the judiciary, and aid customs officials. We work with law enforcement to shut ivory trafficking networks in Africa. In January 2017, our Wildlife Crime Unit in northern Congo was part of a big bust that yielded over 150 lbs. of ivory. At the national level, we are engaged across Africa in helping countries like Gabon, Tanzania, and Uganda develop National Elephant Action Plans and Strategies. The END Wildlife Trafficking Act, which became law in 2016, is the most significant anti-wildlife trafficking legislation ever passed in the U.S. You made your voices heard and made it happen. Help us put a stop to the illegal ivory trade. 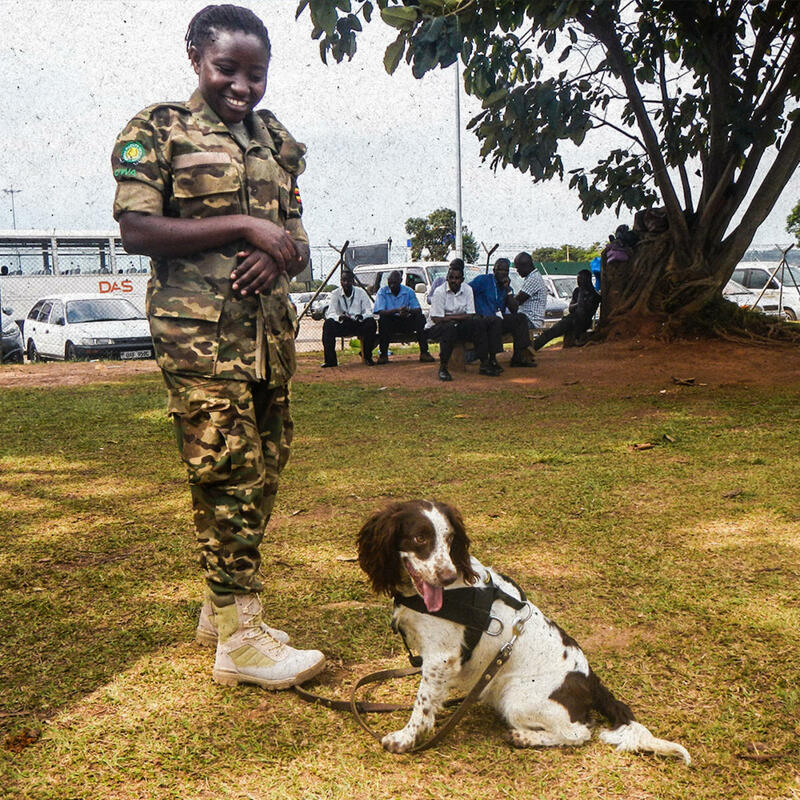 Meet Mia and Piper—dogs helping to sniff out illegal ivory trafficking in Uganda.